Le Stade Roland Garros ("Roland Garros Stadium") is a tennis venue complex located in Paris (16th district of Paris), France. 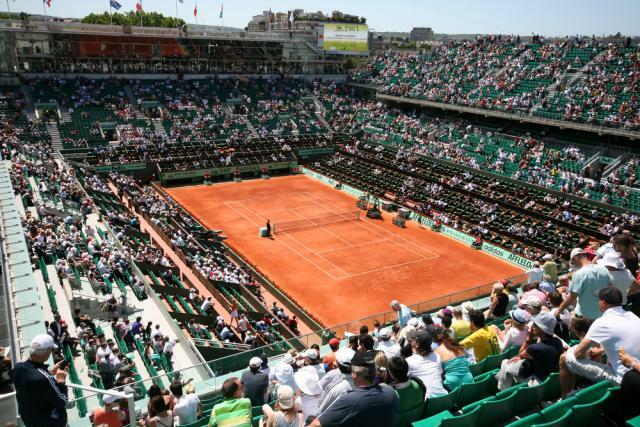 It hosts the French Open, also known as Roland Garros, a Grand Slam championship tournament played annually around the end of May and the beginning of June. The facility was constructed in 1928 to host France's first defense of the Davis Cup. It is named for Roland Garros, a pioneer aviator (completed the first solo flight across the Mediterranean Sea), engineer (inventor of the first forward-firing aircraft machine gun), and World War I hero (the first pilot to shoot down five enemy aircraft, and to be called an "ace" for doing so), who was killed in aerial combat in 1918.